1. Place all ingredients except the white nectarines into a medium-sized bowl and stir to combine. 2. Transfer the bircher mix into an airtight container and place in the fridge for 3-24 hours (the longer the better) – the oats should be soft and all liquid should be absorbed. 3. 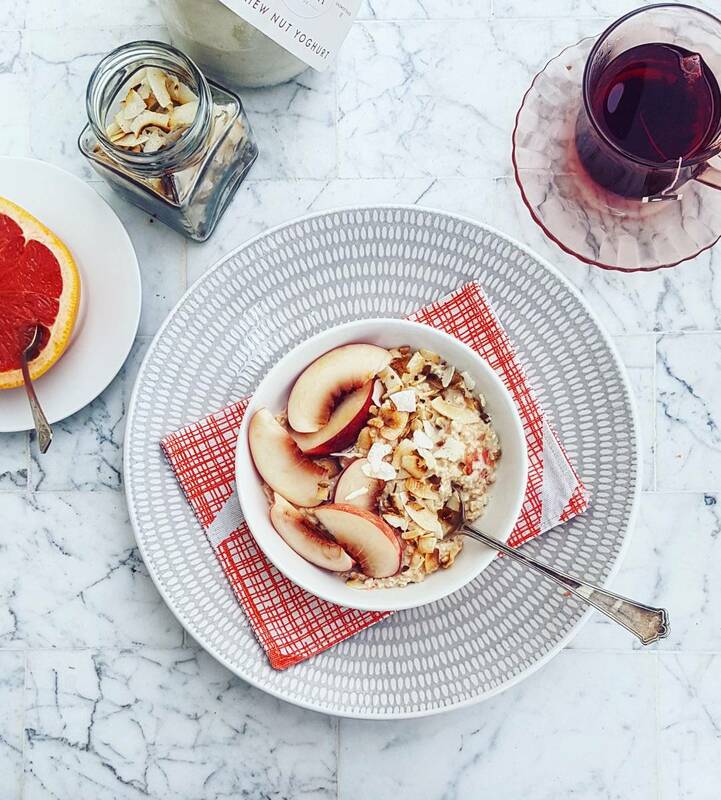 Once ready serve the bircher muesli with white nectarine slices, coconut flakes and a dollop of yoghurt. Tip: Make a double batch on a Sunday night, this way you will have breakfast sorted for 4 days! Also if eating the same thing 4 days in a row doesn’t sound like your thing, then change it up! Make single batches, use orange juice in one and grapefruit in the other, add berries, compotes, seeds, nut butters, really the options are endless!!! You can also portion it in glass jars (if you are worried about eating it all in one go) that day or just have one big batch.